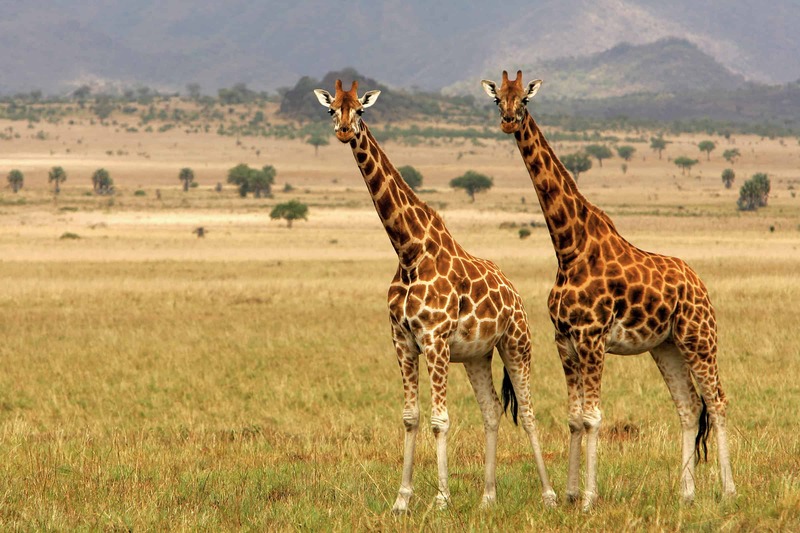 With its abundant wildlife, Uganda can satisfy anyone seeking a dream African adventure. But don’t just pack your binoculars! Joyce Kikafunda, the Ambassador to Australia, says bring your dancing shoes too. 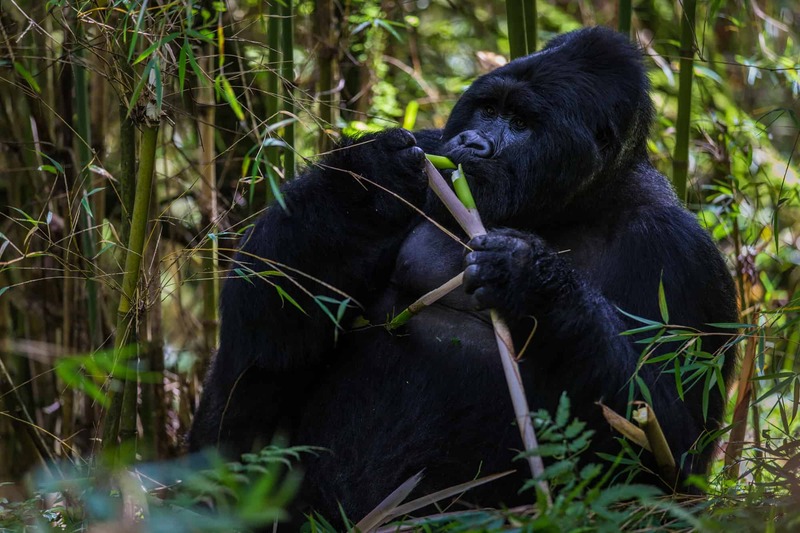 MOUNTAIN GORILLA TREKKING: There are fewer than 1000 mountain gorillas left in the wild, and Uganda is one of only three countries where you can find them, so this is a once-in-a-lifetime experience. To see them, you can visit Bwindi Impenetrable National Park in Uganda’s south-west region. It is home to 12 gorilla families that can be tracked every day, and only eight people are allowed per family. Some travellers opt to track more than one family as each family is unique. Another option is to head further south to Mgahinga Gorilla National Park (bordering Rwanda). At the time of writing, Uganda’s gorilla trekking permits cost $600 a day in the high season, and $450 a day during the low season month of November. Uganda is one of three countries with mountain gorillas. The magnificent Rwenzori mountains are also known as the Mountains of the Moon. 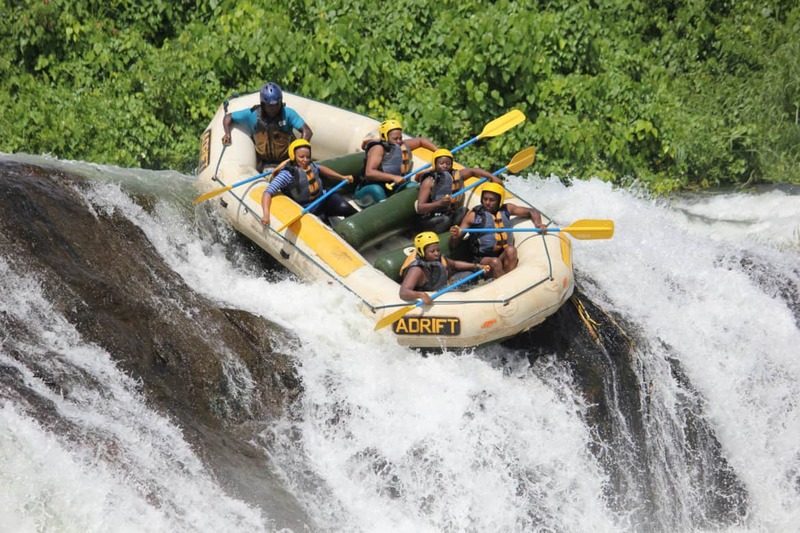 Adventure lovers are in for a treat on Uganda's waterways. HIKE THE RWENZORI MOUNTAINS: Known as the Mountains of the Moon, the snowcapped Rwenzori Mountains are undoubtedly one of Uganda’s most stunning natural wonders. 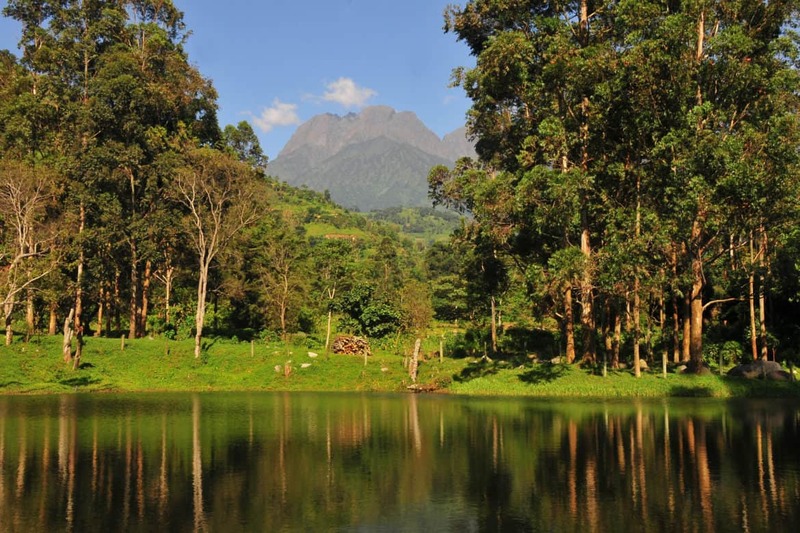 Consisting of five different vegetation zones and named a UNESCO World Heritage Site in 1994, the Rwenzori are home to Africa’s third-highest peak, Mount Stanley. There are many ways to experience this unspoiled wilderness, including adventurous three-day treks and single-day forest hikes along the Munyamubuli River. ADVENTURES ON THE RIVER NILE: The Nile flows through eleven countries and is the longest river in the world, and you will encounter it a few times during your travels in Uganda. The country is home of the Lake Victoria source of the Nile near Jinja, where some of the best white-water rafting, kayaking and bungee jumping is found. 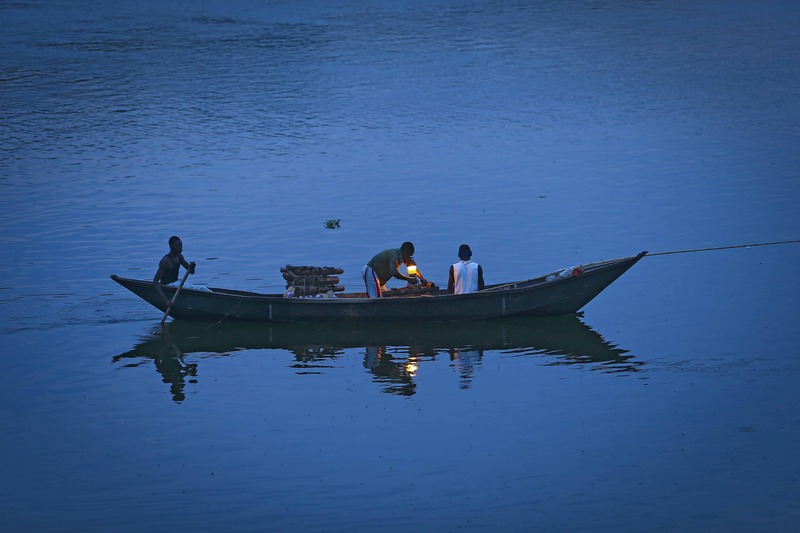 You can take a boat cruise out to where the calm waters of Lake Victoria flow into the White Nile, which makes its way north to the Mediterranean Sea. Jinja is an old town and was once the industrial heart of East Africa, and is well worth a visit – it’s only 80 kilometres from the capital, Kampala. While in Jinja, be sure to try the tilapia fish delicacy of Lake Victoria. 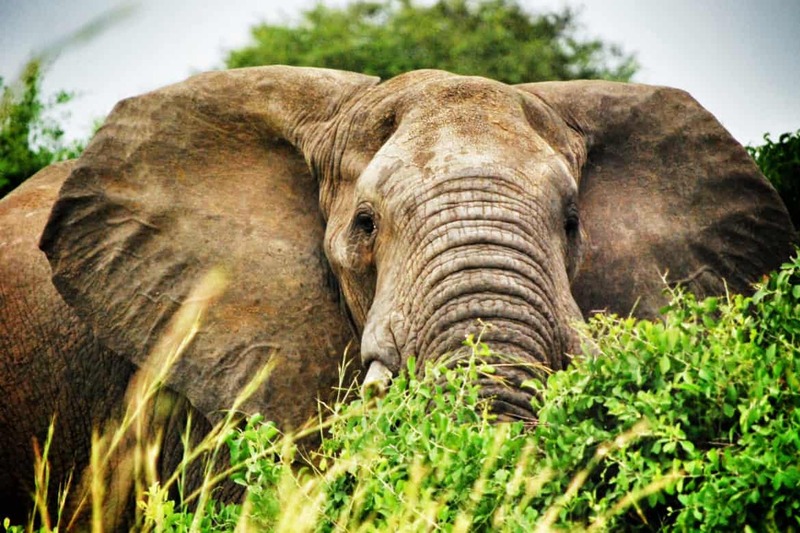 No trip to Uganda would be complete without going on a classic safari in a national park. 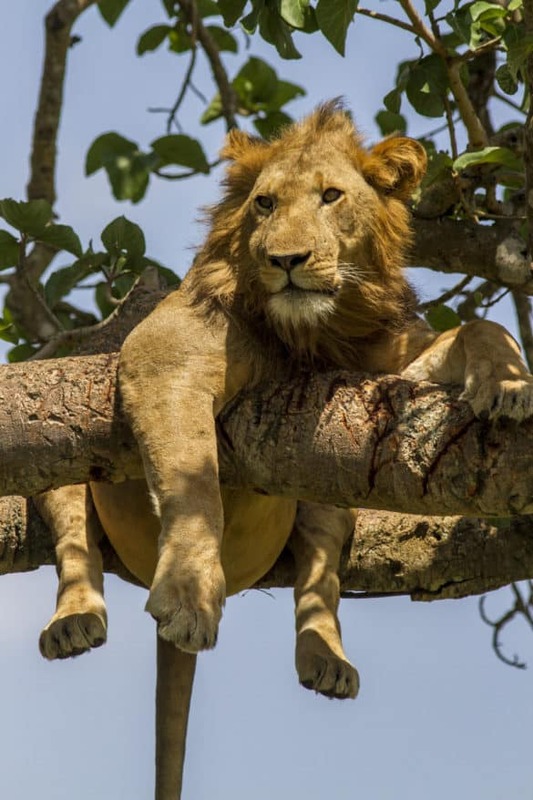 The most popular one is Queen Elizabeth National Park (named after Queen Elizabeth of England), which is famous for the tree-climbing lions. 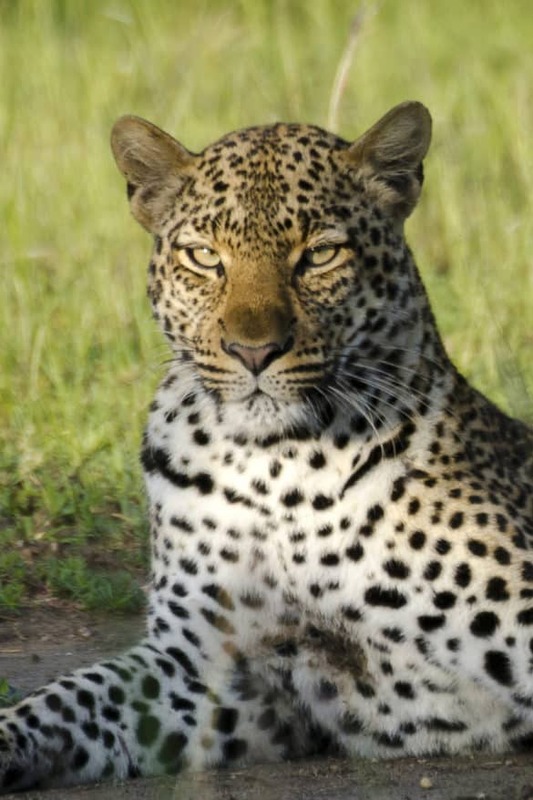 Other game to see include elephants, buffalos, warthogs, impalas, hippos, crocodiles and leopards. You can also trek to see the chimpanzees and other primates, such as the unique colobus and golden monkeys, in the forest reserves of Kyambura and Kalinzu. Also, don’t miss a boat cruise on the Kazinga Channel, which connects Lake George and Lake Edward. Uganda shares these waters with the Democratic Republic of Congo. 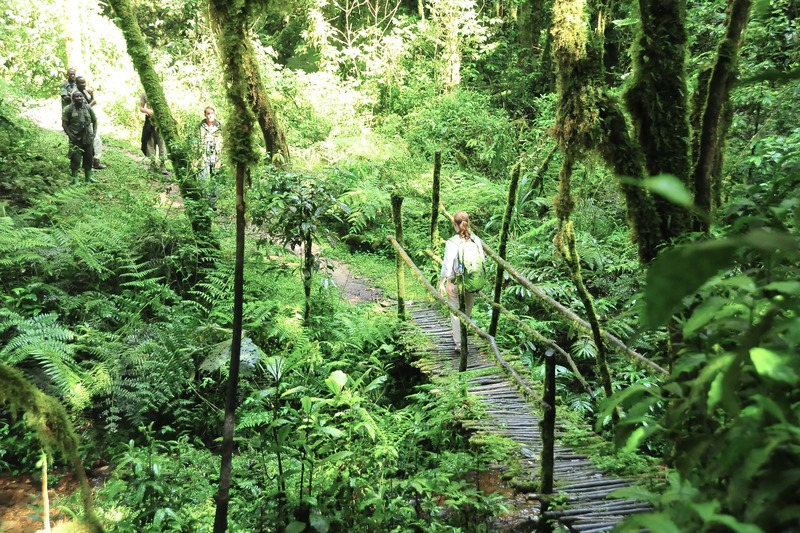 A walkway in the Bwindi Impenetrable National Park. Murchison Falls National Park is one of the most visited parks in Uganda and is home to the Big Five (lions, elephants, leopards, buffalos and rhinos), a variety of antelope species, giraffes, hippos and crocodiles. 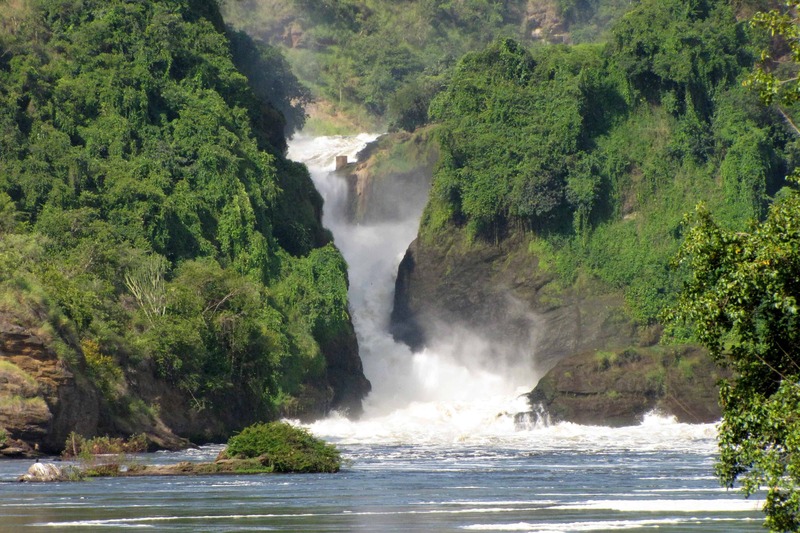 Here you can enjoy white water rafting on the great Nile River, fishing, and boat cruises at sunset, and hike to the top of Murchison Falls. En route to the park, be sure to go rhino trekking on foot at the Ziwa Rhino Sanctuary, a large wildlife reserve. Here you can get close up for some great photo opportunities as you are accompanied by Rangers who give you insight into the daily lives of the rhinos. The Sanctuary is a conservation and preservation project with the intent of restocking Murchison Falls National Park’s rhinos. SOWING THE MUSTARD SEED: THE STRUGGLE FOR FREEDOM by His Excellency President Yoweri Kaguta Museveni. This is the autobiography of Yoweri Kaguta Museveni, who led a guerrilla war to liberate his country and, as President of Uganda, has established a reputation as one of the most widely respected African leaders of his generation. THE QUEEN OF KATWE by Tim Crothers. Based on a popular ESPN Magazine article, the book tells the astonishing true story of Phiona Mutesi, a teenager from the slums of Kampala who became an international chess champion. It was recently made into a film. ABYSSINIAN CHRONICLES by Moses Isegawa. At the center of this unforgettable tale is Mugezi, a young man who manages to make it through the hellish reign of Idi Amin and experiences firsthand the most crushing aspects of Ugandan society. Food from Uganda is a sensation. One can sample the luwombo, which is meat or groundnut sauce steamed in banana leaves with an enticing aroma, and is always served with plantain matooke in the south, millet in the north, and potato in the west. Others foods include cassava, posho (made from ground maize), sweet potatoes, the traditional matooke (green cooking banana steamed in banana leaves), and binyebwa (groundnut sauce). Grasshoppers commonly referred to as nsenene are a delicacy. The most widely drunk hot beverage is chai, a sweet tea where all ingredients are boiled together in a pot. In some parts of the country chai is often flavoured with spices such as ginger. The main alcoholic drink is lager beer, such as Nile Special, Nile Gold and Club, Bell, Pilsner, Tusker Export and Guinness. There is also Uganda Waragi, a gin made from distilling banana wine. Experience the joy and rhythms of the local music. Tourists try their hand - actually, their feet- at traditional dancing. Uganda has a long list of traditional dances and traditional music that define the different groups of people. Each ethnic community has songs and dances of its own. In The Kingdom of Buganda, which is in the central part of the country, tourists will enjoy a traditional dance called Bakisimba, performed principally by the Kiganda women. The dance involves critical attention to details like footwork and the wiggly movement of the waist, accompanied by choral back-up singers and traditional instruments like drums, wooden xylophone and end tube fiddle. In western Uganda, you will encounter dances like Runyege-Ntogoro of the two related Kingdoms of Tooro and Bunyoro. This is a traditional dance for Okushwera (marriage) performed by two youthful groups of boys and girls in which an aspiring groom and bride demonstrate to the multitudes their intentions of starting a new life together. The Bakiga are energetic dancers who dance with such might that even the dust rises and the dry ground below you shakes. 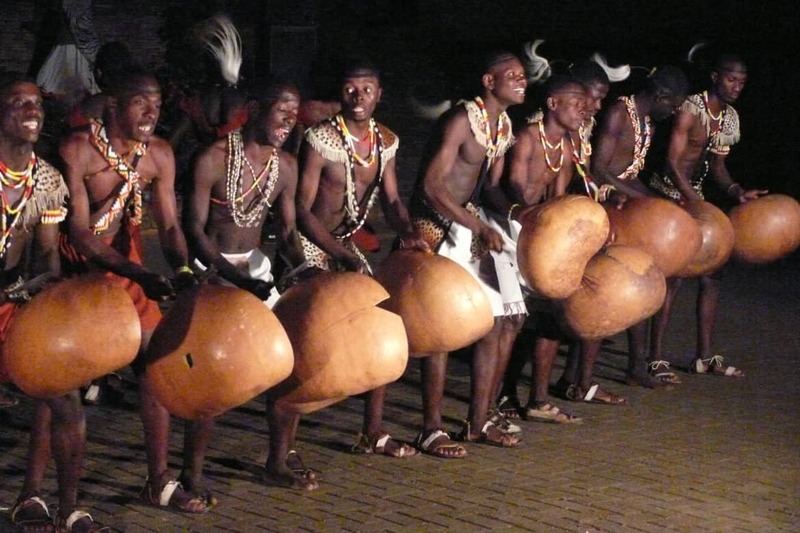 The Bakiga are considered one of the strongest people in the country and this is represented in their traditional music. 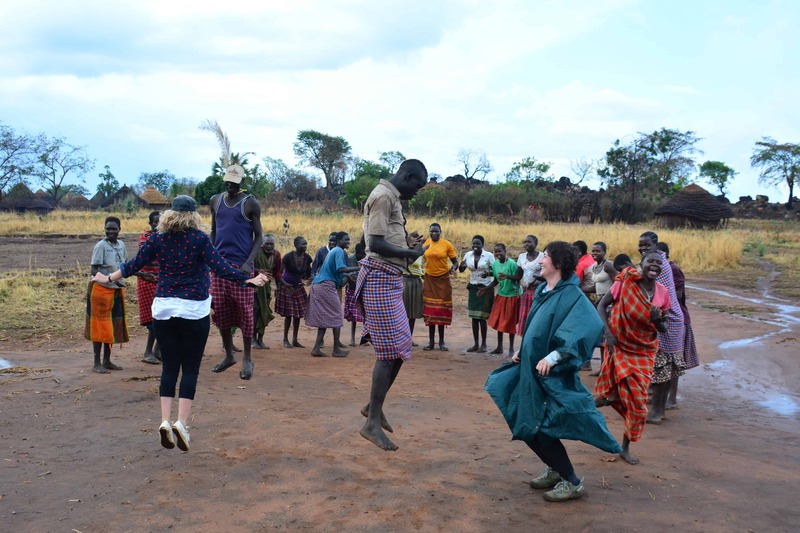 In Eastern Uganda, you will enjoy the Gisu traditional dance called Mwaga (aka Akadodi). The Gisu people inhabit the Mount Elgon area and perform this dance around August each year when their male circumcision ceremony peaks. In Northern Uganda one will encounter the Acholi people, who have a variety of dances and songs but are best known for three dances; Dingi Dingi, Bwola and the imperial dance called Laraka Raka. Adding to the instruments, the props used in these dances are also something to captivate the audience. Tourists who have limited time to travel to all the regions to experience the spectacular dances can go to the Ndere Centre in Kampala to watch all the regional dance performances by the Ndere Troup. Near Fort Portal you will find the Amabere Ga Nyina Mwiru Caves. Amabere Ga Nyina Mwiru means “the breasts of Nyina Mwiru.” The ‘breasts’ are in fact stalactites made of calcium carbonate. The white-coloured water that drips off them is thus called “breast milk” by the local Toro people. Joyce Kikafunda is the Ambassador at the Uganda High Commission in Canberra. Photographs supplied. More at Visit Uganda.